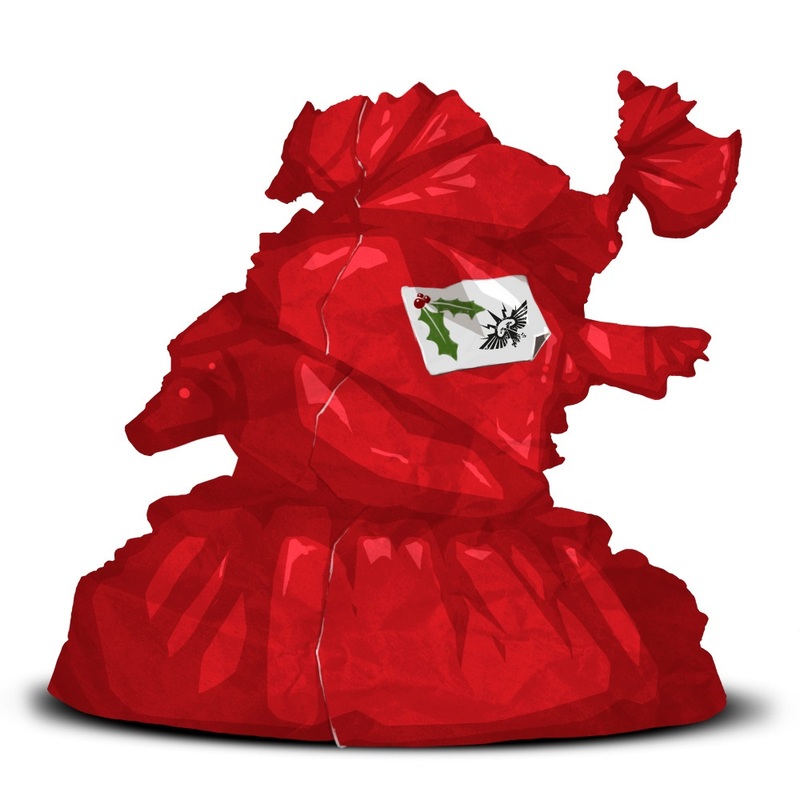 Forge World’s tease from last week gets unwrapped – come see what this holiday surprise has in store for you! 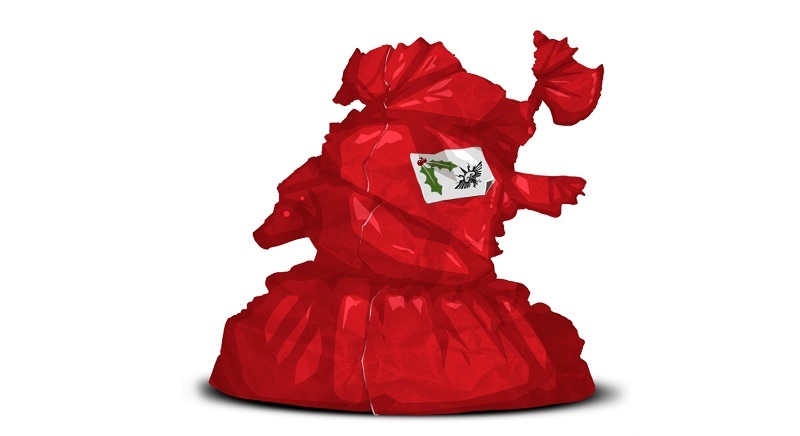 Last week Forge World teased us all with a “wrapped” miniature. Today they have pulled the wrapping off and are showing off a new miniature from the Horus Heresy Character Series. Say hello to Hvarl Red-Blade, a Space Wolves Praetor from Heresy Era! This new miniature from Forge World is slated for release for next year. Red-Blade appears to be in Terminator Armor and is wielding an Axe and a Heavy Bolter. I wouldn’t be surprised if he’s also got some special rules to account for his “slightly mad” nature either. 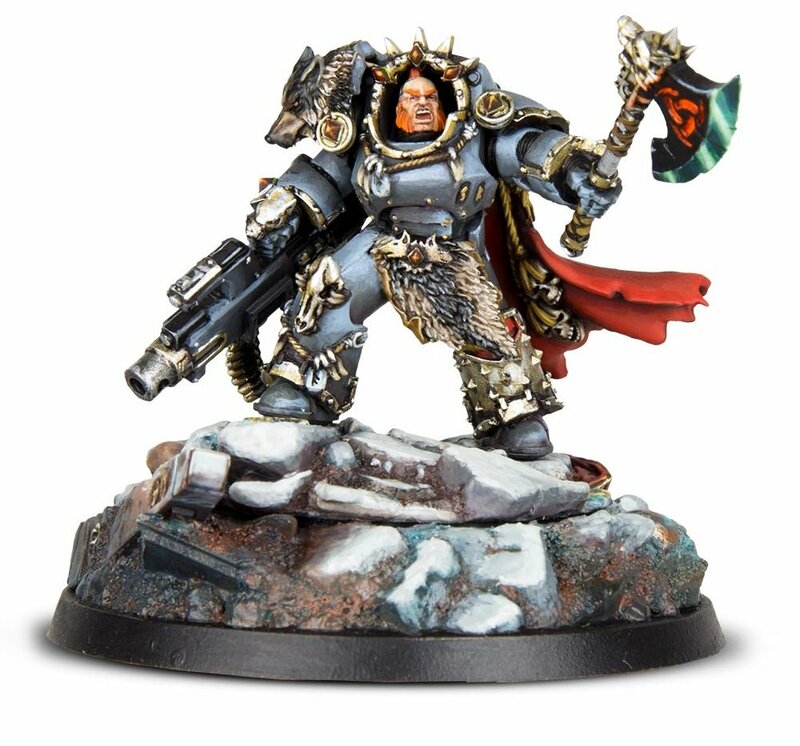 Hvarl Red-Blade was a Wolf Lord of the Space Wolves during the Great Crusade and Horus Heresy. He was known as the Ravager and the Headsman of Koltor. By the time of the Burning of Prospero Hvarl Red-Blade was commander of the Space Wolves 7th Great Company and had a reputation as a dourly humorous and often choleric-tempered warrior whose greatest joy was found on the battlefield. By Prospero he had commanded the 4th for some 50 years and was a veteran renowned for his scourging tactics and taking the heads of his enemies as trophies. He was known to tell a grand tale behind each head he collected. Though considered slightly insane by the rest of his Legion, he was nonetheless a highly respected Legion commander. 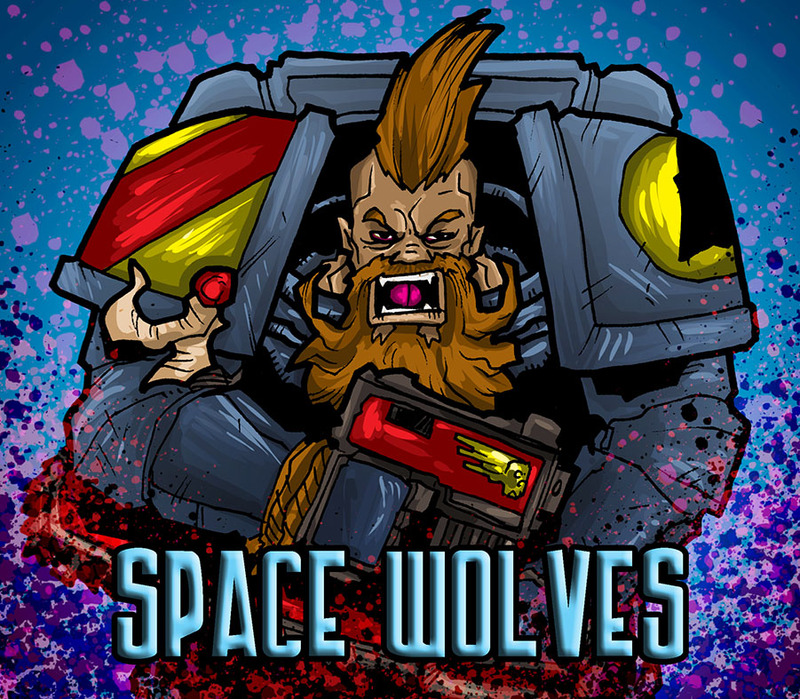 Well there you have it folks – get ready for a new kind of crazy for your Space Wolves from Forge World!